On a recent The Great Manager webcast, we spoke with Shawn Patterson, Chief Learning Officer and Vice President of Organizational Effectiveness at DTE Energy. DTE Energy is the first utility company to win the Gallup Great Workplace Award, winning in 2013 and again in 2014. After unsuccessful attempts to engage its employees through various consulting efforts, DTE Energy decided to concentrate on keeping leadership conversations focused on engagement. Knowing that engagement extends across the entire organization, DTE Energy implemented strategies to better train and develop its struggling employees and instilled action plans so they could improve and learn from their mistakes. Shawn said an important key to fostering an engaging work environment is to get rid of organizational silos. Prior to its efforts to make employee engagement consistent across the board, DTE Energy’s engagement scores were significantly different for union workers and non-union workers. But now there is consistency in the overall work experience each day, regardless of in which area of the company employees work. Touching on the Clifton StrengthsFinder, Shawn said that knowing and understanding your strengths will help you become a more effective manager. It helps to build relationships with others, and allows you to fully understand your abilities and deficiencies to help you make better decisions. To hear Shawn talk more about the best practices that make a great manager, watch the full video above. 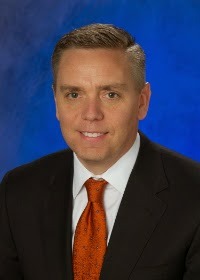 Shawn is vice president of organizational effectiveness and chief learning officer for DTE Energy. He is responsible for the strategic direction and execution of the company’s enterprise-wide strategy for the following: continuous improvement, internal communications, organizational development including leadership and executive development, technical training and workplace health and safety. Shawn’s top five strengths: Activator | Strategic | Analytical | Significance | Competition.